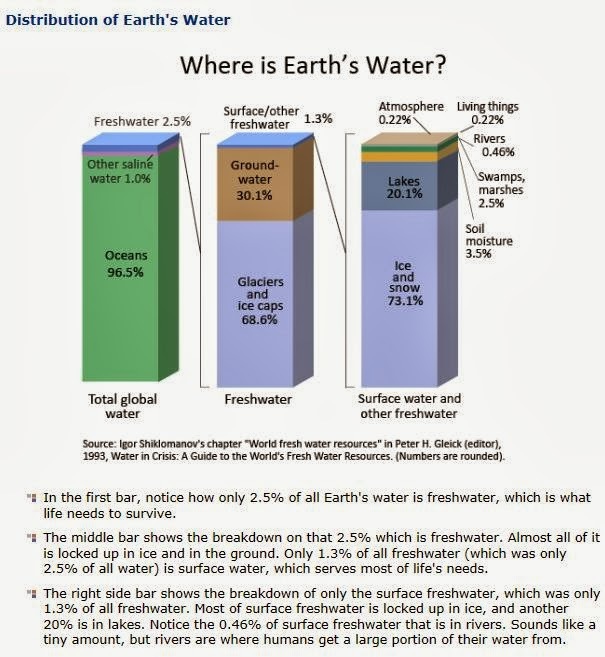 GeogSplace: Where is the water? "Sustainability is both a goal and a way of thinking"
The distribution of water on Earth: not a lot of fresh water really!!! 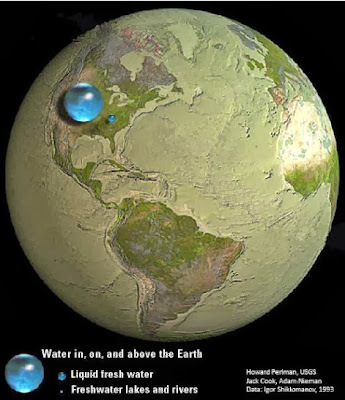 The image above shows that in comparison to the volume of the globe the amount of water on the planet is very small - and the oceans are only a "thin film" of water on the surface. 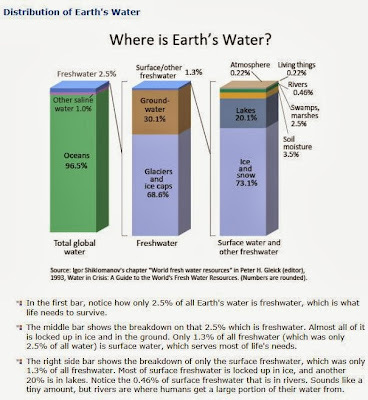 Water is widely distributed on Earth as freshwater and salt water in the oceans. The Earth is often referred to as the "blue planet" because when viewed from space it appears blue. 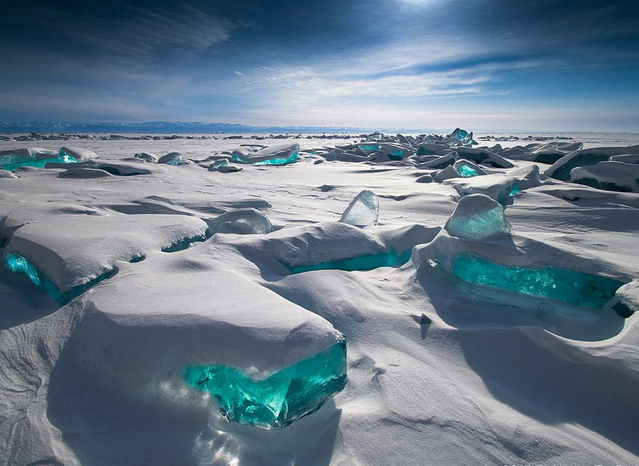 This blue color is caused by reflection from the oceans which cover roughly 71% of the area of the Earth.